Studio strobes from the Paul C. Buff, Inc. of Nashville Tennessee have been popular among professional and other serious photographers mainly due to one reason — they are good! Besides being great studio strobes, they are also very reasonably priced. The Alien Bees model line up is pretty much the cornerstone of the great reputation and popularity of strobes from Paul C. Buff. 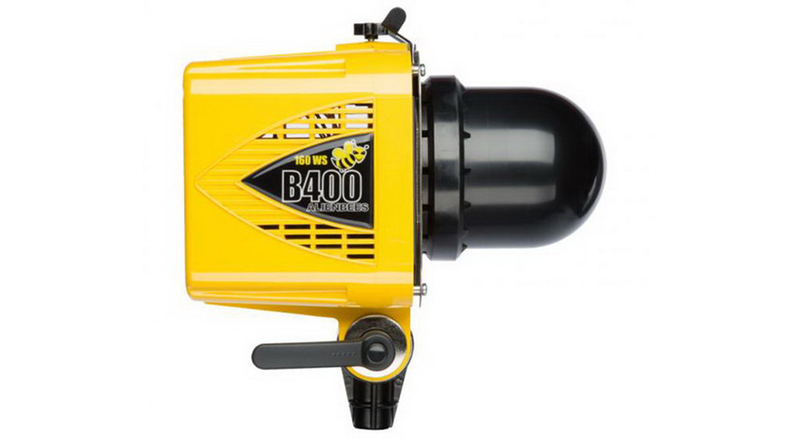 The most affordable Alien Bees model is the B400 160/WS studio strobe. Reading this review, many photographers will notice that Alien Bees strobes aren’t really all that new anymore. The original strobe made by Paul C. Buff, the White Lightning, was introduced way back in the film era, 1981. The Canon AE-1Program, Nikon FE, and Bronica ETR cameras were being used then, Raiders of the Lost Ark was in theaters. 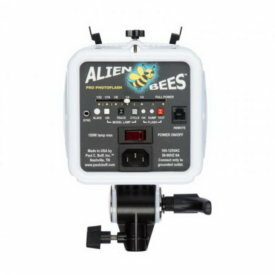 In 2001, Paul C. Buff introduced the Alien Bees line of studio strobes. For yet more historical context, that corresponds to the time period of the Nikon D1x (5.4mp) and Canon EOS D30 (3.3mp) digital SLRs, the Leica M7 and Fuji GX680 film cameras, and the first of many Harry Potter films. So, the Alien Bees strobes are not new or revolutionary. What they are is affordable, durable, and very capable. That’s what really excites a lot of serious photographers. One of the first things seen when examining the Alien Bees B400 strobe is how well made it is. The body is very basic, but a studio strobe doesn’t really need anything fancy. The box or frame of the housing is constructed of thick and sturdy Lexan polycarbonate. Everything either goes inside the housing or attaches to it. Inside is the power supply, circuitry, and supporting electronics, along with a small cooling fan. While cooling fans are not rare in strobes, it is unusual to see one in a lower cost product like this. A metal plate attached to the front holds the Xenon flash tube and the modeling lamp socket. Flash tubes are rated for 250,000 flashes and are daylight balanced at 5600K. A 7-inch reflector attaches to the front. On the back end of the unit are the power cord socket, on/off switch, control buttons, power level slider for six f-stops of adjustment, PC sync terminal, and a socket for wireless remotes. Underneath is a heavy duty light stand clamp and tilting bracket. This locks down securely and releases easily enough with minimal, but distinct effort. The true value of these strobes shows up when actually using them during a photo shoot. 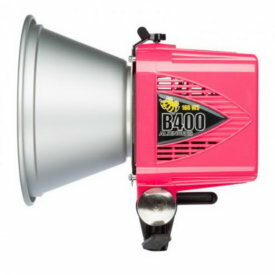 The Alien Bees B400 is a very manageable size and weight, making setting up different lighting configurations a breeze. Especially when also using other Paul C. Buff lighting accessories. Mount a B400 on one of their sturdy light stands and adjust it as needed for height and position. With a lighter duty stand, even a strobe as small as the Alien Bees tends to make an unwieldy configuration. You really do need to use a decent stand with a wide footprint. Even the lowest cost stand from Paul C. Buff has a decently wide footprint. The supplied AC cords are 15 feet long, which should be fine for most studios. A power strip and extension cord will give you a little more freedom in lighting configurations because that tends to lessen any possible tripping hazards. These strobes operate on AC power only, there is no battery pack. There isn’t any separate power pack either, each strobe has it’s own built-in power supply. 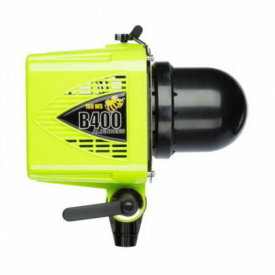 The B400 isn’t much larger than the flash heads in a modular lighting kit. You will probably need to connect one of the strobes to a camera with a sync cord or a wireless trigger. Multiple B400 strobes can fire off of one strobe’s trigger because they have built-in optical slaves. An IR optical slave trigger mounted on camera may not be read by the B400’s slave. One way to get around that and also eliminate the need for a sync cord is to use a small on-camera regular flash set manually to its lowest power output. Alternatively, the built-in flash of some cameras could also do the trick, provided you can manually set them for low power output. 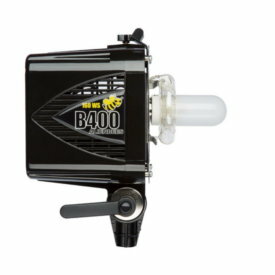 Adjusting the power output of the B400 is handled with one of the simplest methods there is. You merely push the slider one way or the other. The scale it slides on is very clearly marked with the power level. Adjust each strobe separately to come up with the proper exposure and the lighting ratio you desire. There are a full 6 f-stops of control. From full power 160/WS down to 1/32nd. 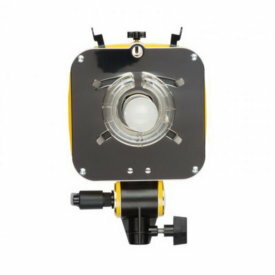 The modeling lamps can be set to constant output or you can tie them in to the power level being set for the strobes with the press of a button the back of the unit. The modeling lamp can also be set to turn off as the strobe fires. When this option is chosen, the modeling lamp comes back on when the strobe is recharged. A full power burst only requires about one second to recharge. It’s hard to find fault with a basic, well made, affordable studio strobe, but I’ll try anyway. As mentioned, the optical slave doesn’t seem to work well with IR triggers. There are ways around this issue, but it really makes lighting and shooting setups so simple when you don’t have to worry about cords or any other visible light burst. The strobes recycle very quick, but an audible indicator would be welcome. Even my older Vivitar flashes like the 2500 had a beeper for that. Paul C. Buff, if Alien Bees ever do get this added feature, please be sure to give the beeper an off switch for those occasions when you don’t want to hear something like that. A very personal aesthetic gripe, those ‘exciting’ colors aren’t necessary. Plain old black or grey is just fine. Maybe I’m just a nitpicker, but those Alien Green and Martian Pink options don’t work for me at all. Oh well, no one is forcing me to buy a Mello Yello strobe. Whether operating a high dollar commercial studio or a budget studio in the garage or spare bedroom, the Alien Bees B400 is an excellent choice for a no-frills, manual exposure strobe. Well made and durable, they are also lightweight and inexpensive. A wide variety of optional accessories are usable for light modification. Simply put: They work. Since they are so reasonably priced, a very sophisticated studio lighting arrangement could be made around several of these strobes. In addition to the B400 160/WS, there are two higher power strobes available, the B800 320/WS and B1600 640/WS. All of the Alien Bees are very affordable and highly usable. Minor nitpicking aside, these small strobes are perfectly able to do the job. Like a Chevy sedan does for transportation, these strobes will get you there. Sure, the Maserati and Mercedes are more sophisticated and have extra features, but they are still used as transportation, right? So, there you have it. Alien Bees, the perfectly adequate Chevy sedan of studio strobes. How’s that for a tag line?